My reading genres are pretty particular these days. I have authors I trust, and I’m open to trying new books if someone I trust gives me a recommendation. However, some of my favorites from my pre-author life have lingered. Although I don’t write historical romance (yet), I still love a well-written historical. And one of my old reliables is the incomparable Mary Balogh. I think I began reading Mary’s “Slightly” series, and then devoured as many of her books as possible. Over the last few years, I’ve loved her Survivor series particularly, so once I finished a deadline book a few weeks ago, when I realized I’d missed a Survivor release last fall, I was delighted to gobble it up! Only A Kiss was actually the book I’d been waiting to read, since it was about the one sole female in the Survivors’ Club, a group of men (and one woman!) who experienced devastating physical and/or emotional trauma during the Napoleonic wars. The Duke of Stanbrook, who had lost first his son and then his wife thanks to the war, opened his home to this group, and they formed a tight-knit community of support over the years. These books are not your typical historical romance. Because they deal with subject matter that is completely relevant to our times, there is always a twist, something that goes beyond the simple romantic pursuit of man meets woman. After finishing that book, I was perusing some of Mary’s books that I might have missed, and I came upon the Four Horsemen of the Apocalypse. These books are in re-release, but I was very impressed with the first one, Indiscreet. I was happily surprised that it was a much longer book, and yet the storyline was as compelling and endearing as her more recent books. I’m eager to read the next three in that series. My review: I was latecomer to the Guardian series; actually, I read the third book first and then went back and devoured this other two. 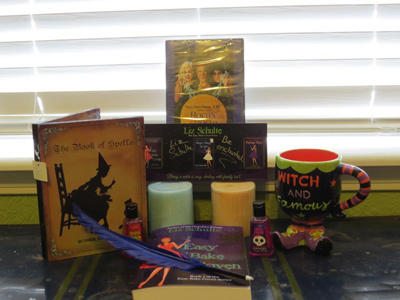 So this time I was determined to get in on Liz Schulte’s new series from the very beginning. And I am so glad I did! 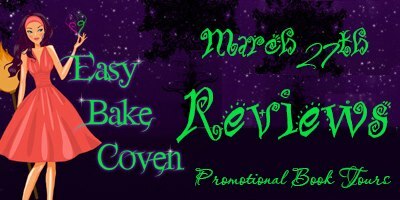 EASY BAKE COVEN is an amazing mix of fun, romance and intrigue. Selene is a likable, engaging heroine, and her group of friends bring to mind Robin Hood’s Merry Men. They are supportive and encouraging as they accompany her on the wild ride that her life becomes. But really, for me, true focus of the story is Cheney, the elf prince who is by turns tender and intense. His role in Selene’s life is murky at first, but of course, we all know that his intentions are honorable and pure. At least, I hope they are. . .
An added bonus is the appearance of several of our favorite characters from the Guardian series. I won’t spoil it and say who; suffice it to say that EASY BAKE COVEN gives us another look at the fascinating Abyss. I devoured this book whole and was immediately ready for more. There was enough humor and lightness to offset the intensity, as well as appealing characters whose stories stayed with me for weeks. Don’t miss this series. 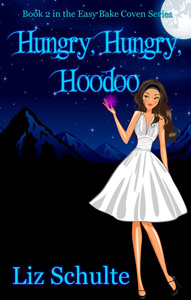 Now that the second book, HUNGRY HUNGRY HOO DOO, is out, you can enjoy both without the pesky wait that I endured. Consider yourself lucky! Run! Go get these books NOW!